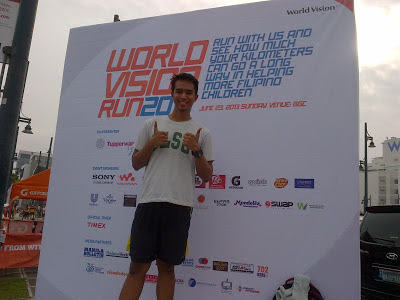 World Vision Run is a fun run event that was organized to help promote the non profit organization that supports thousands of children in sustainable communities. This year's race was organized once again after runners were asking for it. 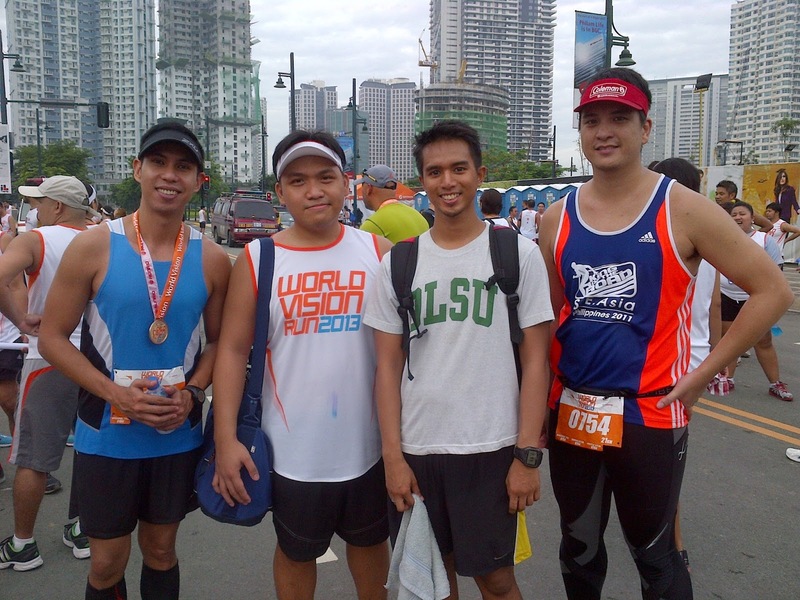 On June 23, 2013, this run was successfully executed at the Bonifacio Global City. After running 32 kilometers at the Run United 2, I kept running maintenance runs but I did miss a few long runs since I was too lazy and tired to do it. 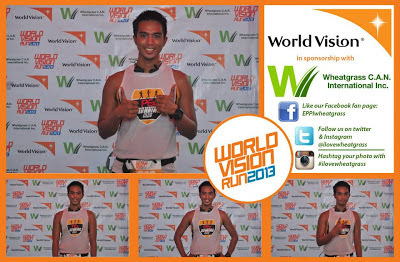 World Vision is my favorite charity organization so I was up to supporting this event. Great thing I was invited to join it so after a weekend trip I went to Riovana and had myself registered for the 10k race, which was the same distance in my training plan. On race day, I was excited to be able to do a weekend run after missing last week's long run. Having run this race forced me to keep my training schedule, at least for this week. Since this is a run rio race, I had to wake up extra early. I arrived early in the venue. Since my legs were still sleepy and I was running a shorter than usual distance, I walked around BGC to warm up before heading to the starting line. 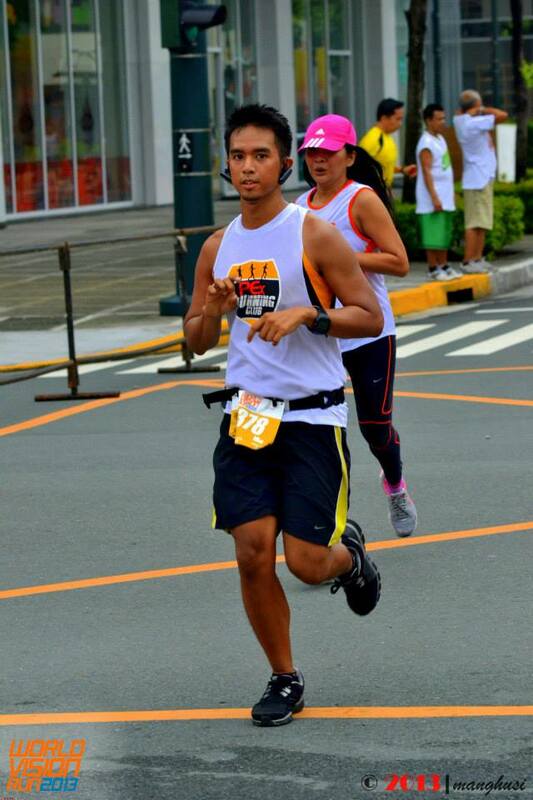 My plan was to run at a constant pace for the first half then do magic mile for the rest of the race. But I guess I was influenced by the other runners since I ran faster than I expected. So by the first magic mile, I was fighting the urge to go slower. I kept pushing thinking that this was a shorter distance so I can run faster. I finished at 1:04. Not a PR but happy to run at 10min/mi. I have to incorporate this strategy in my next long run. Since I ran a shorter distance and the crowd is smaller, I decided to have my picture taken at one of the photo booths. It took longer than I thought, though. Then, I met fellow bloggers, Noel and CJ. We had breakfast at Market! Market! Being a Run Rio race, it was great as expected. The route was easy. Not a lot of uphills and downhills. This was good for someone who was recovering from a 32k race or a newbie 10k runner, which I guess was a good number judging from the cheers when Gelli asked who is running for the first time. My blogger friends said the hydration was as expected. I wasn't able to try hydration in the route as I brought my own hydration belt. 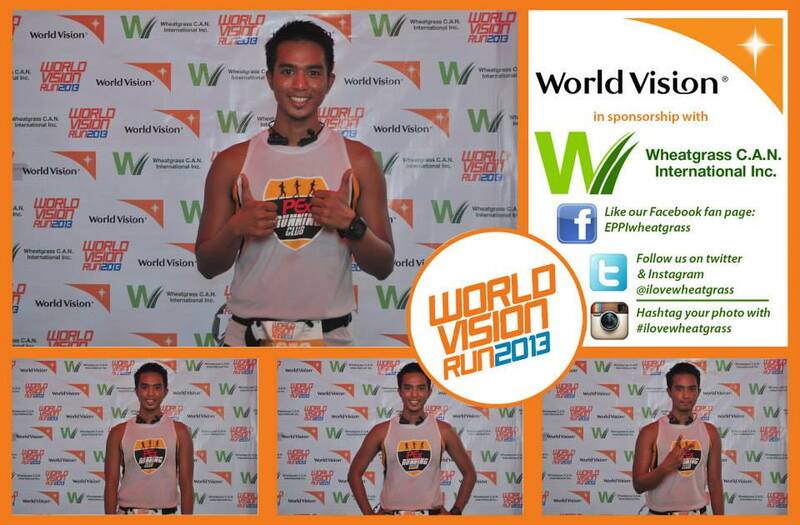 Thanks to World Vision, Run Rio and the sponsors for making this run a great run event! di man lang nga kita nakita along the race route eh! may mga merging areas naman ang 21k and 10k. still, kelangan na gawin ang iyong sub-1 10k! go, go, go! Yikes! Saka na yung sub-1... Marathon muna!